Welcome to the 2019 Cairns Children’s Festival. Now in its sixth year, the Cairns Children's Festival will be celebrated over two days, 18-19 May 2019, across the Tanks Arts Centre, the Cairns Botanic Gardens and for the first time the new Cairns Performing Arts Centre. 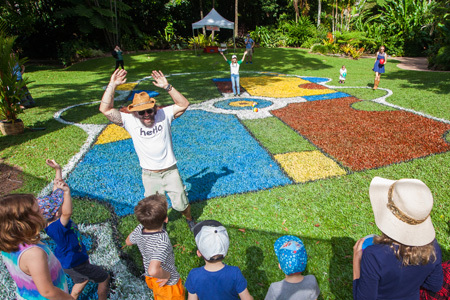 The Cairns Children's Festival is an action packed weekend of creativity, adventure and innovation for children aged 12 and under. With a range of free and ticketed events there is something for everyone! Volunteering is a great way to gain new experiences, meet new people and have a lot of fun. If you would like to volunteer at the Cairns Children's Festival please download (below) the volunteer information pack and email it to cairnschildrensfestival@cairns.qld.gov.au. If you have any question please do not hesitate to contact us 4032 6656 or via the email above.